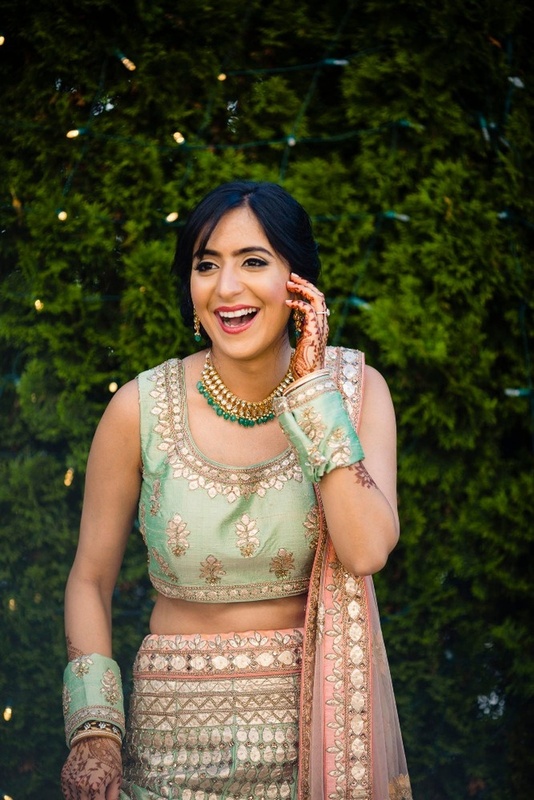 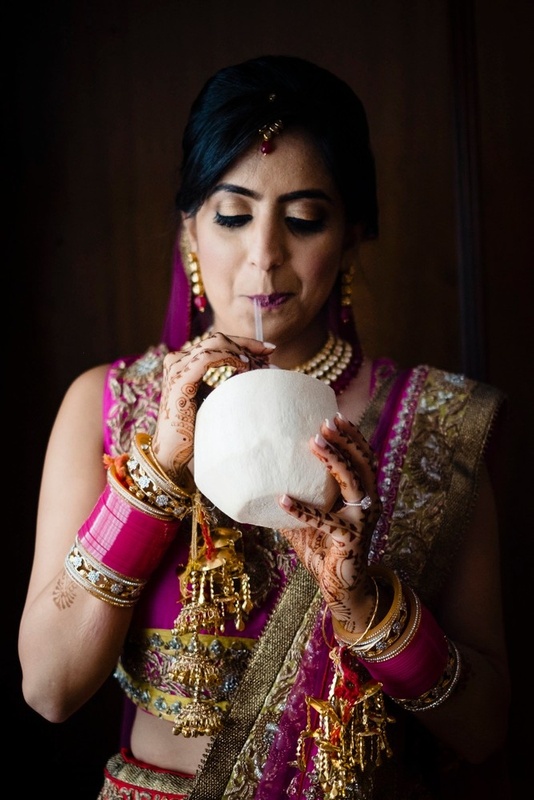 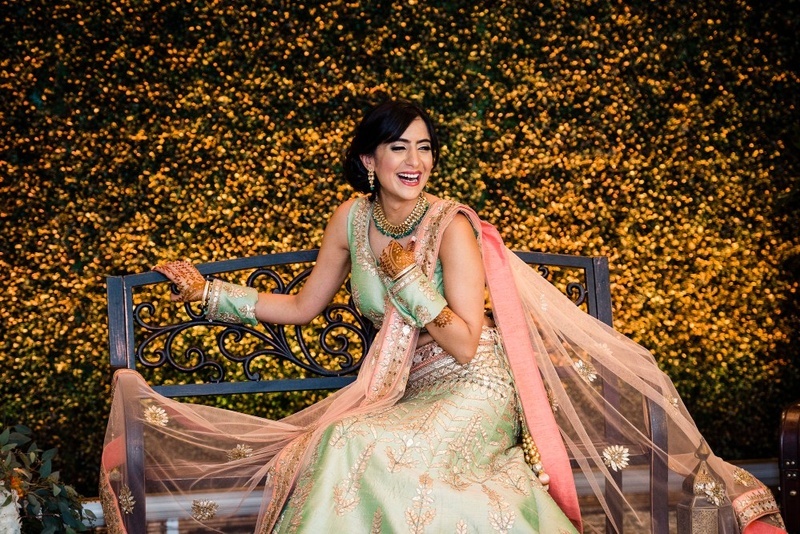 Gorgeous lehengas, minimal makeup and a killer smile make this bride's wedding photos a must-see! 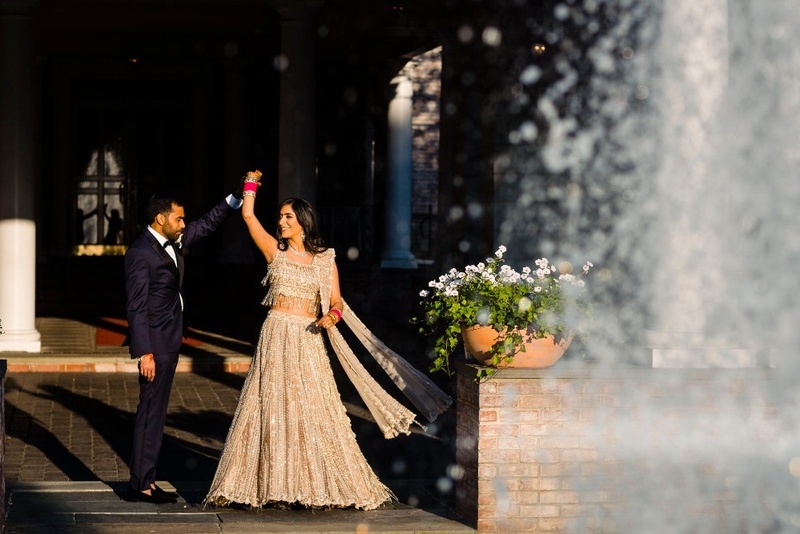 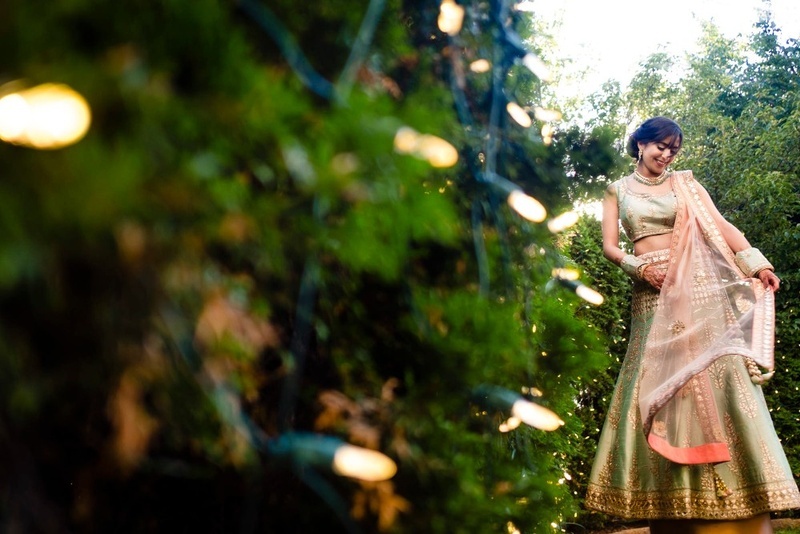 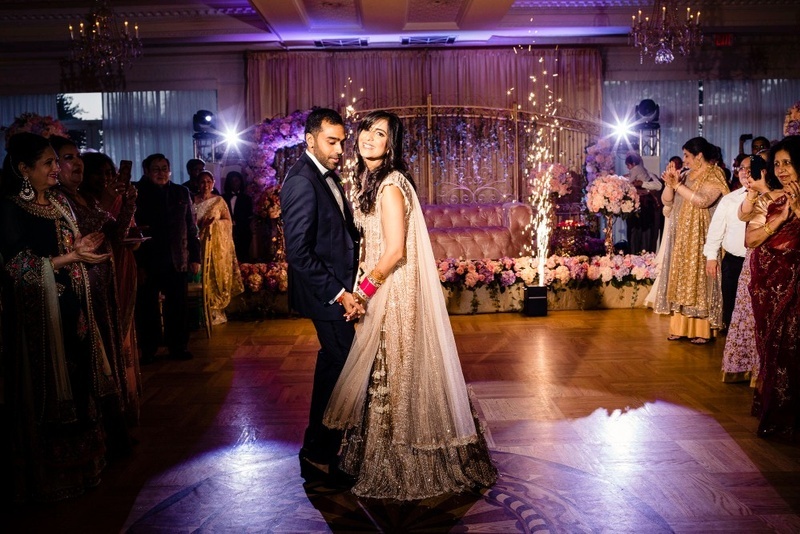 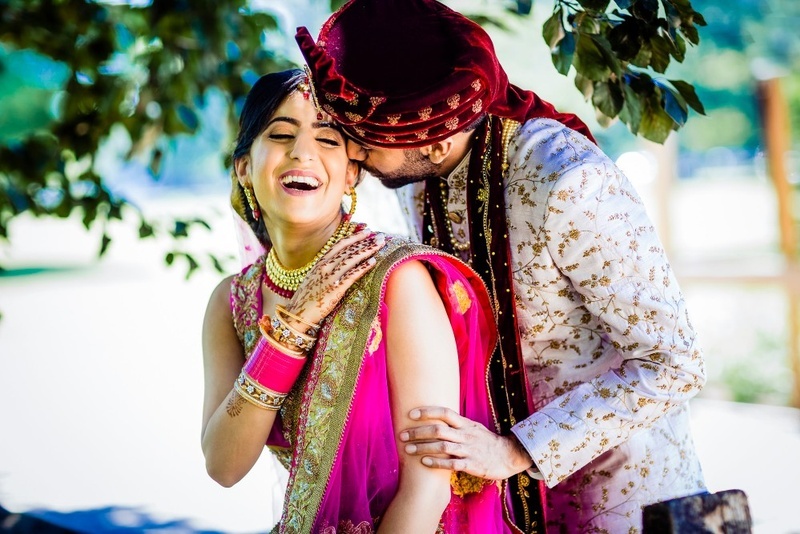 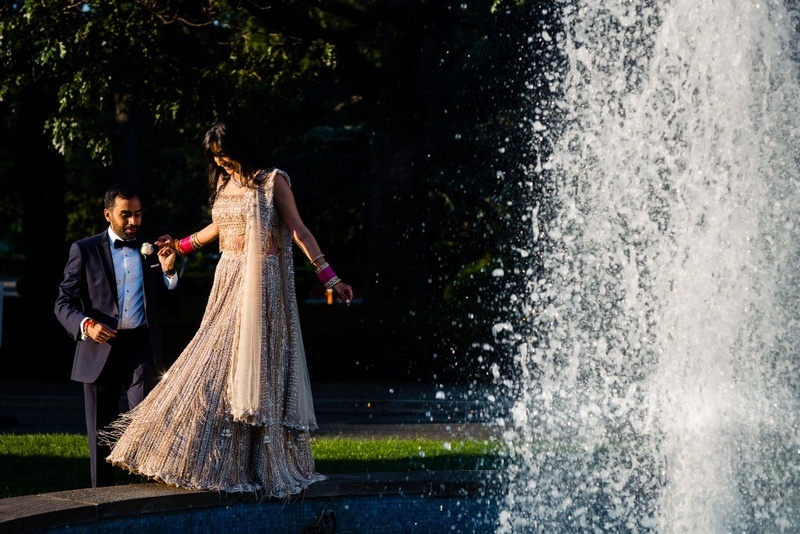 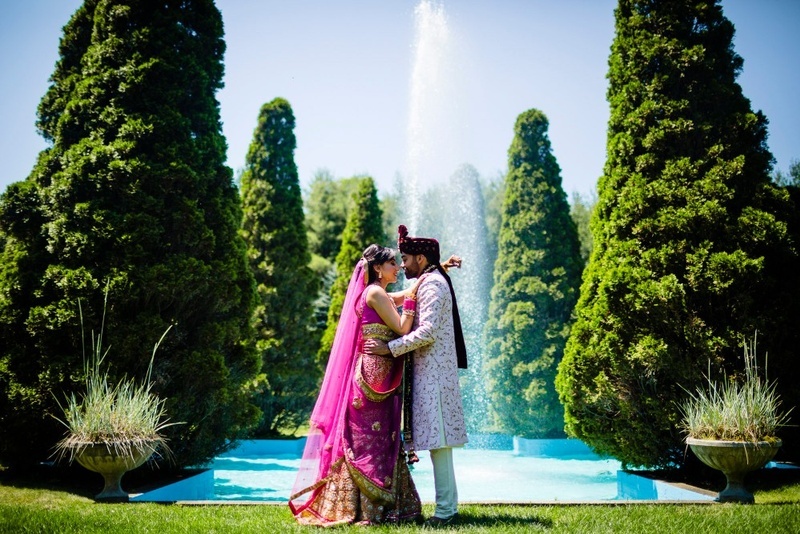 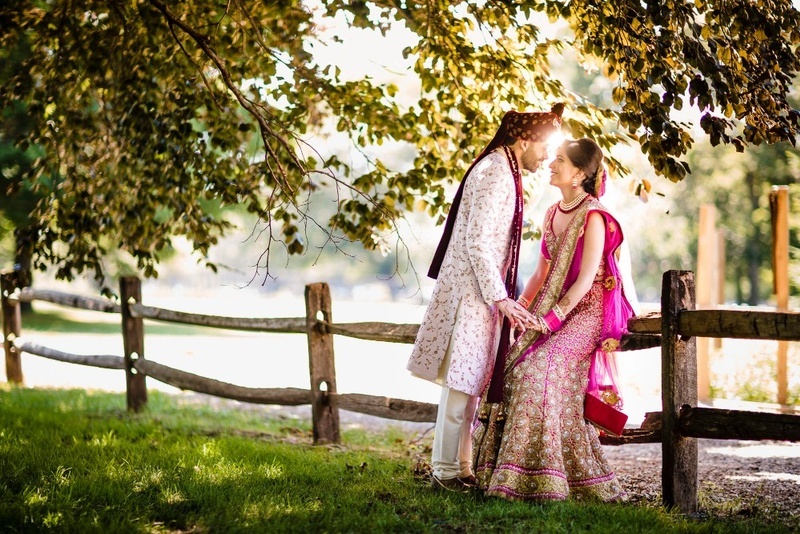 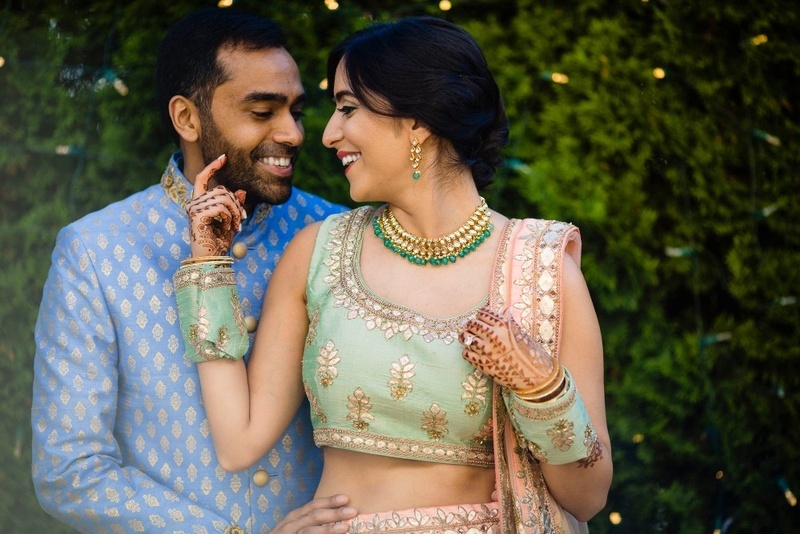 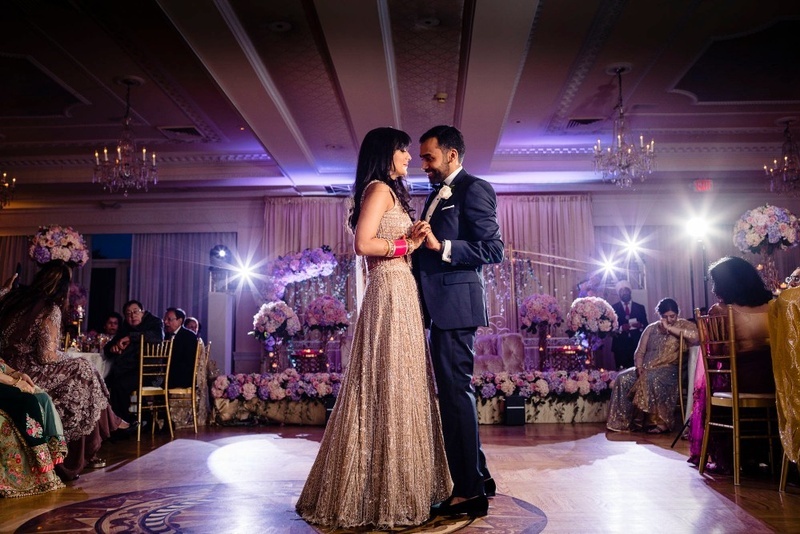 Sumiti and Ramit had a ravishing wedding on the western lands of New York but in a truly desi style! 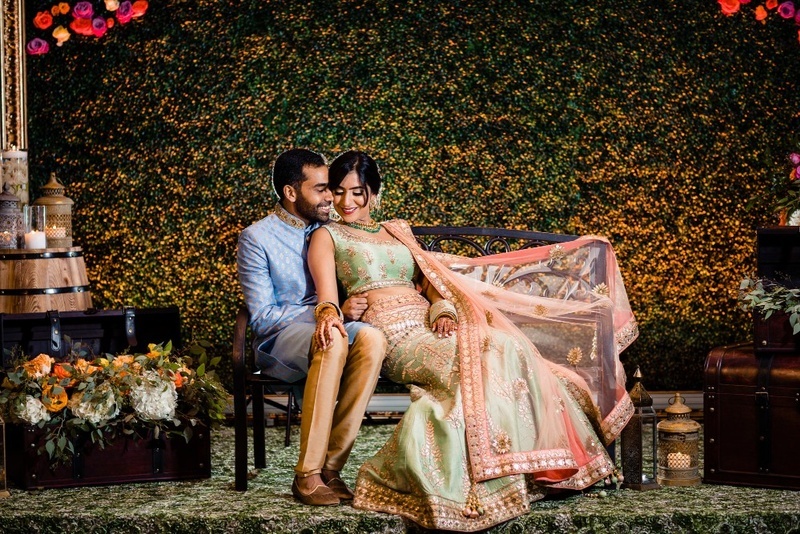 The bride’s choice of gorgeous lehengas and minimal makeup gave us major inspo for bridal ensembles! 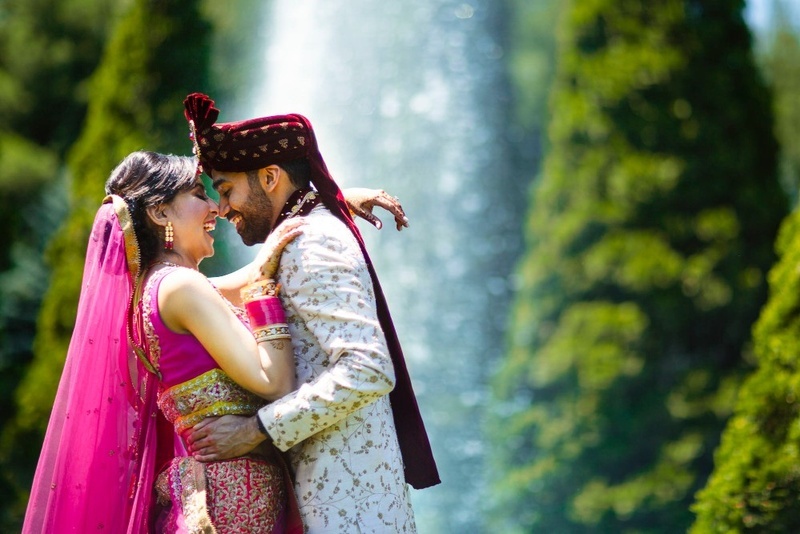 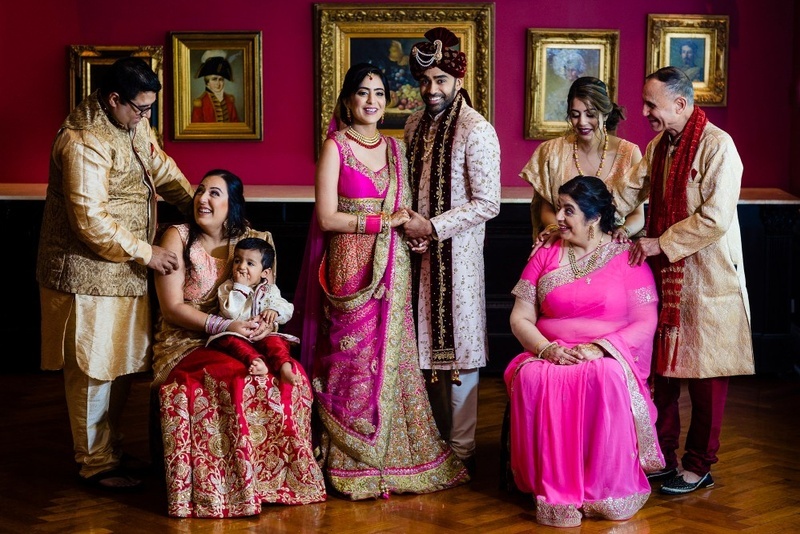 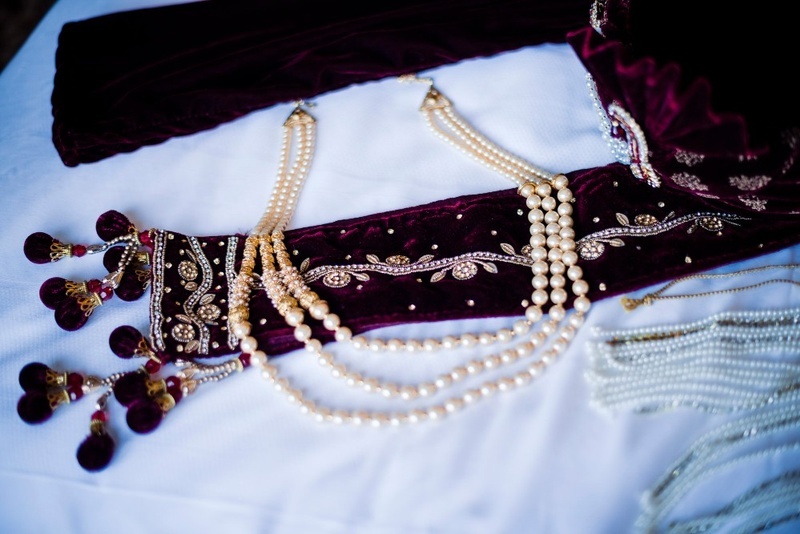 The beautiful wedding pictures captured by Priyanca Photography would leave you in awe of the royalty of this international wedding! 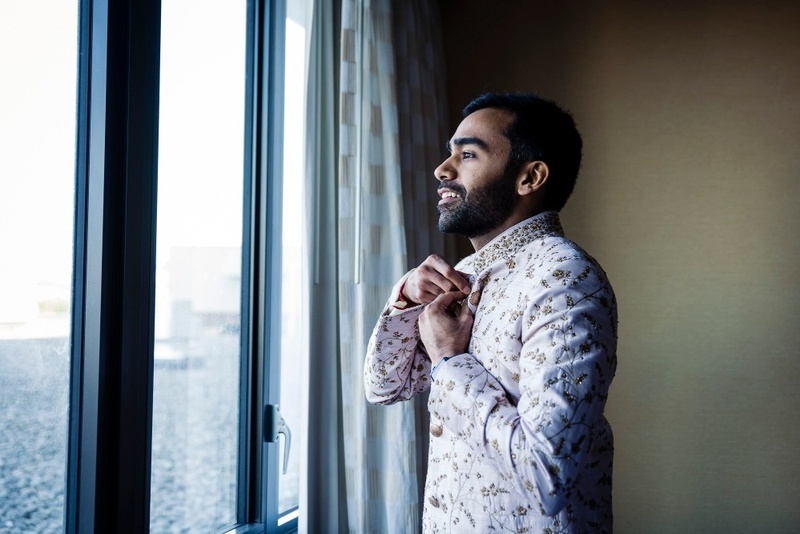 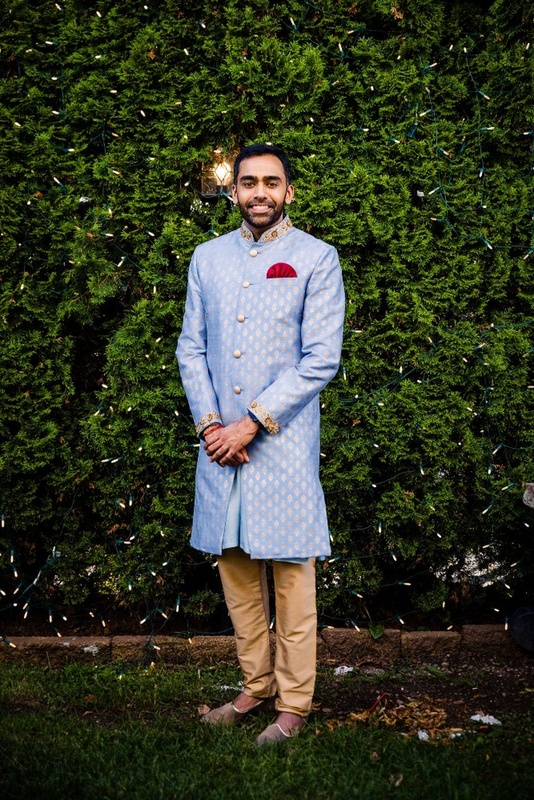 Three months before the ceremony took place, Ramit had a medical emergency. 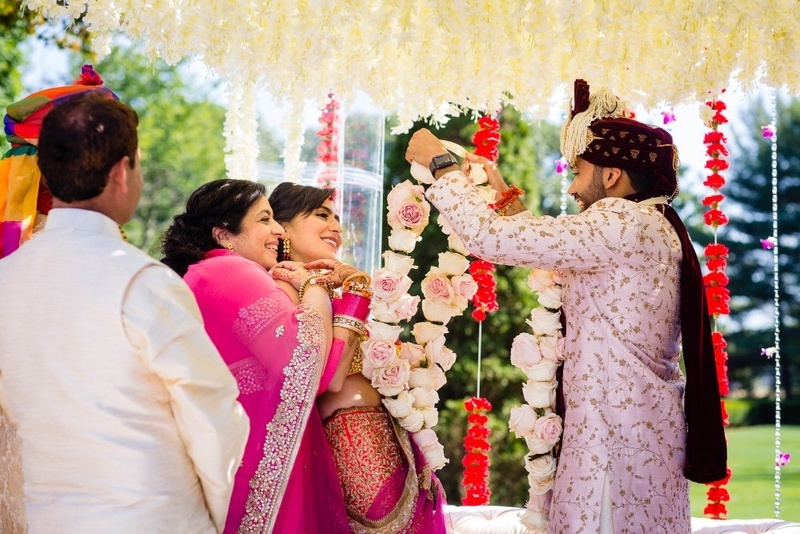 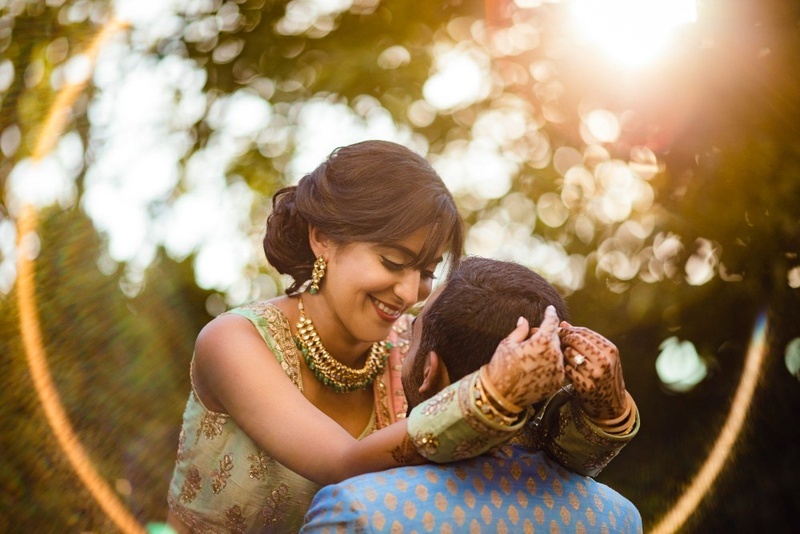 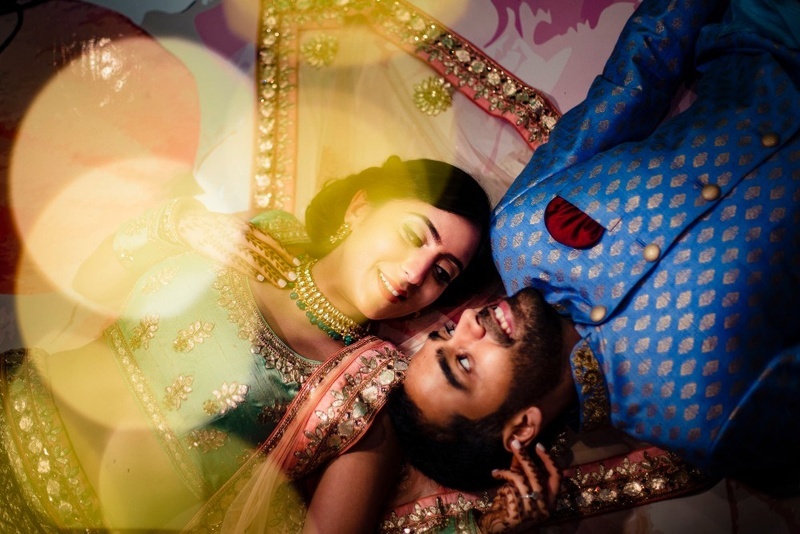 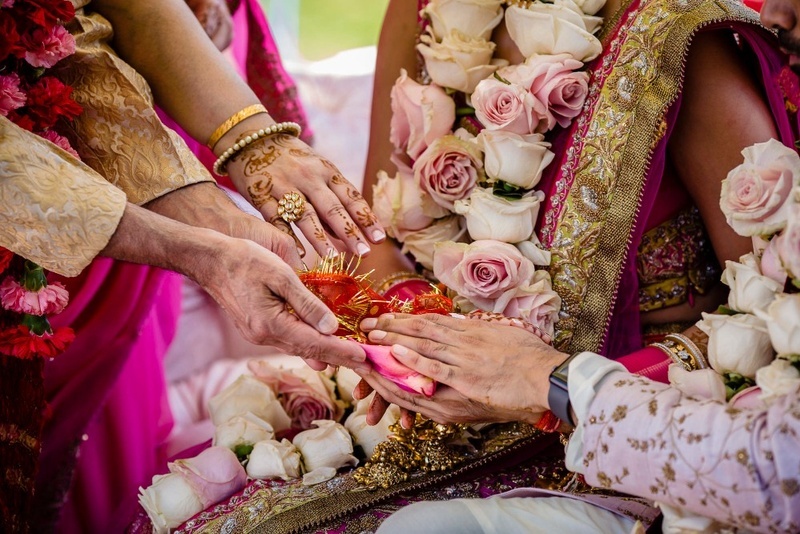 The care and love of Sumiti for Ramit brought the couple even closer to each other. 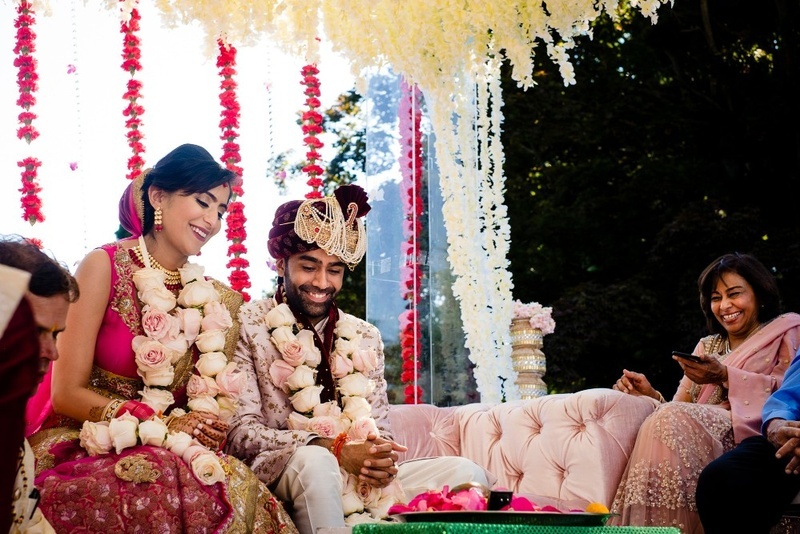 As Ramit recovered, the couple wasted no time and decided to get married! 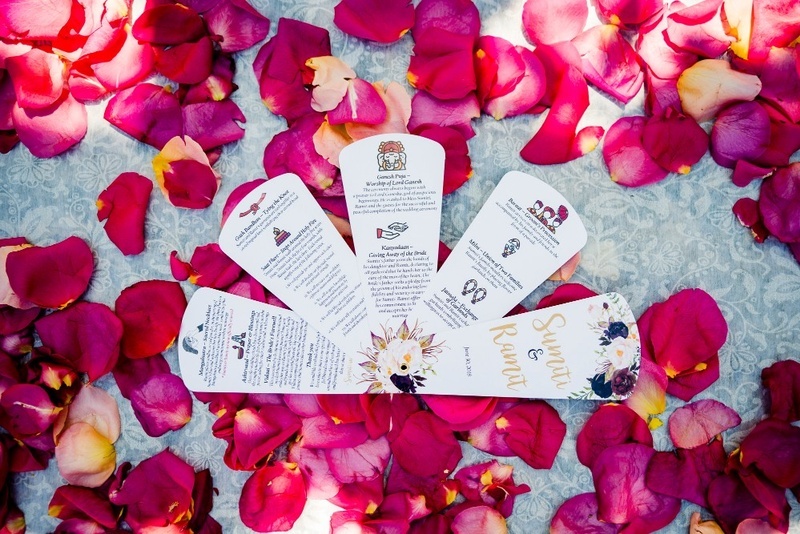 The planning process was a combined effort from both the families and vendors who seemed truly passionate were selected for the wedding. 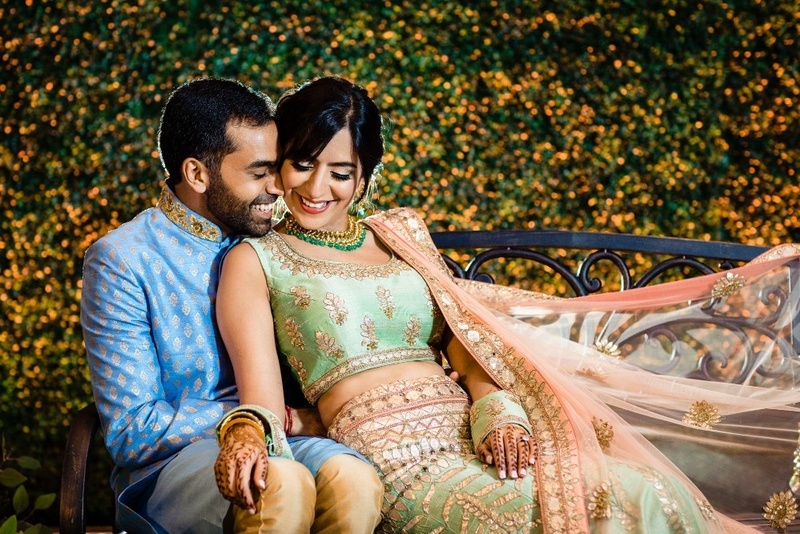 Ramit’s family had a background in catering and venue business which offered the couple a lot of flexibility in deciding their unique wedding menu and in enhancing the aesthetics of their wedding venue! 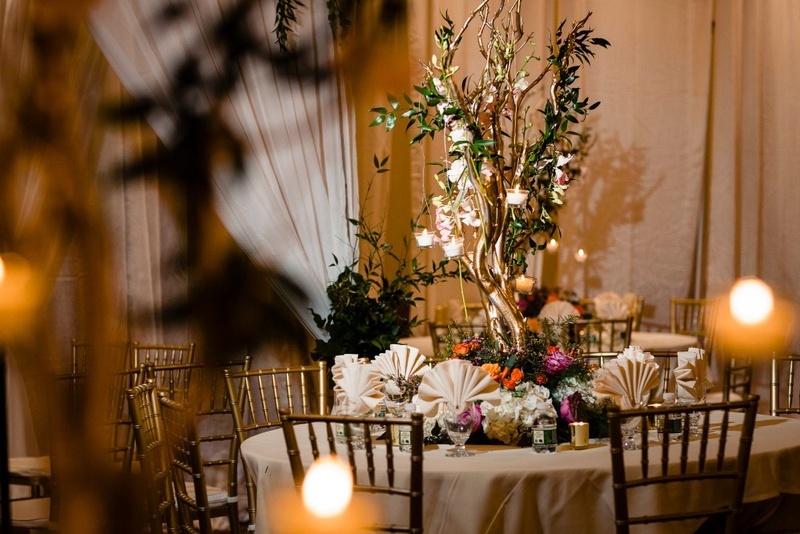 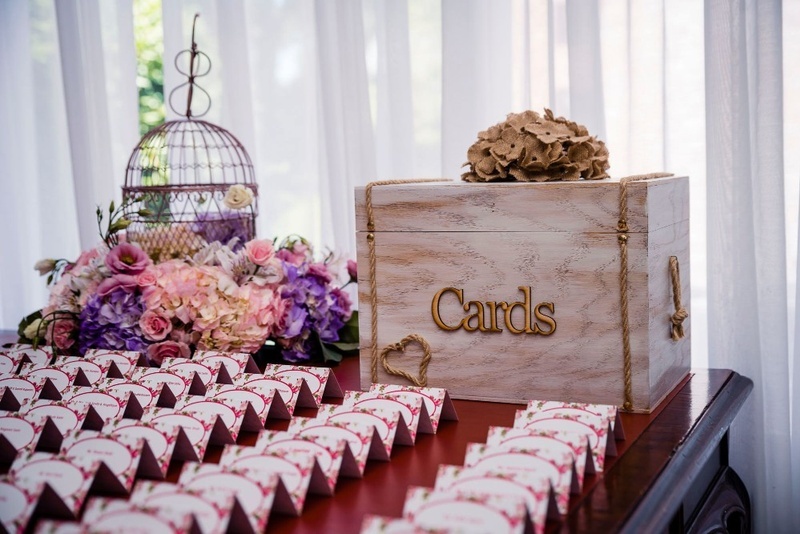 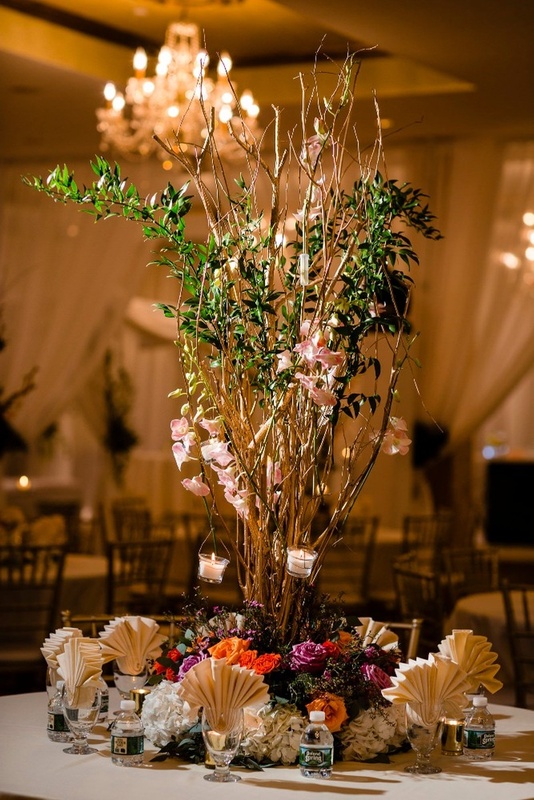 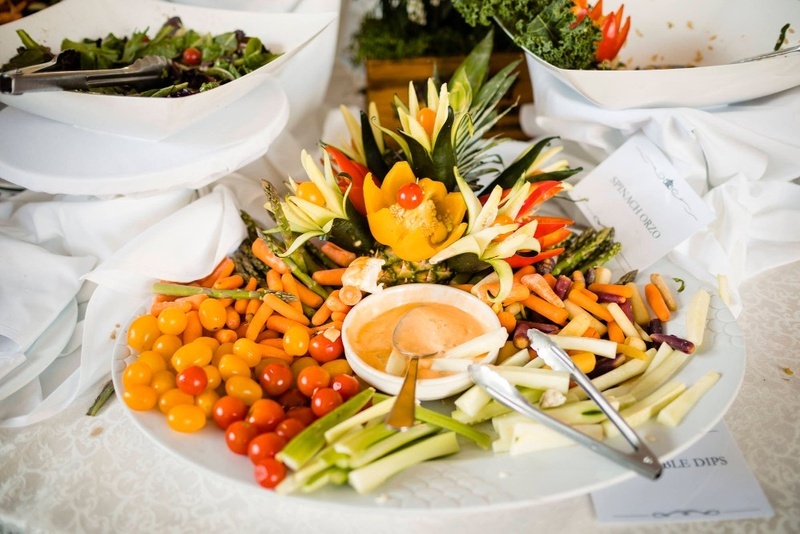 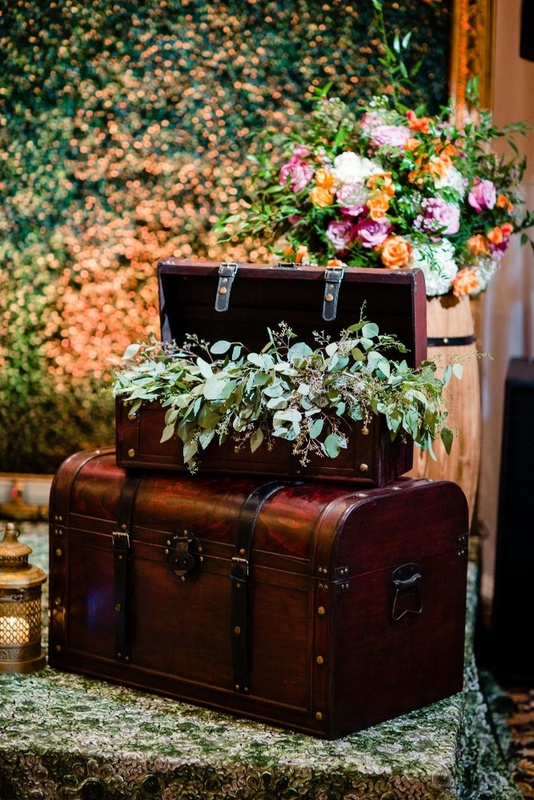 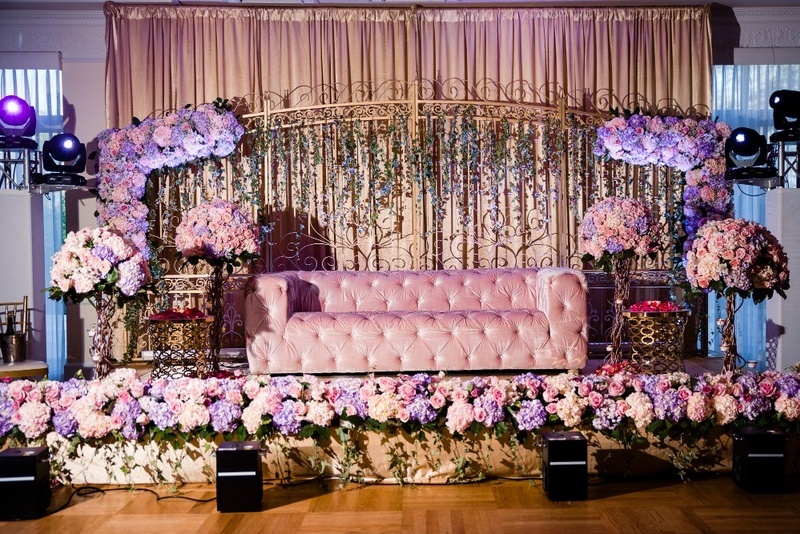 The decor in particular was truly exuberant and every function was different from each other. 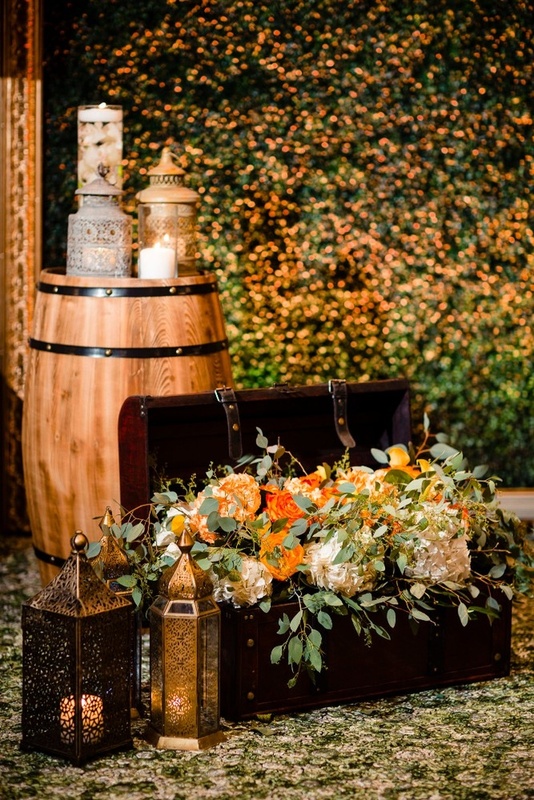 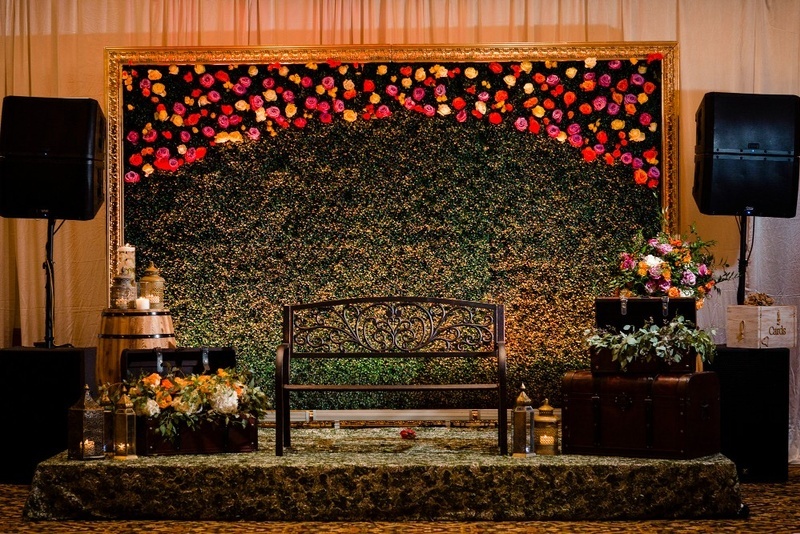 While the mehndi function featured a gorgeous rustic decor, the reception reflected royalty and grace! 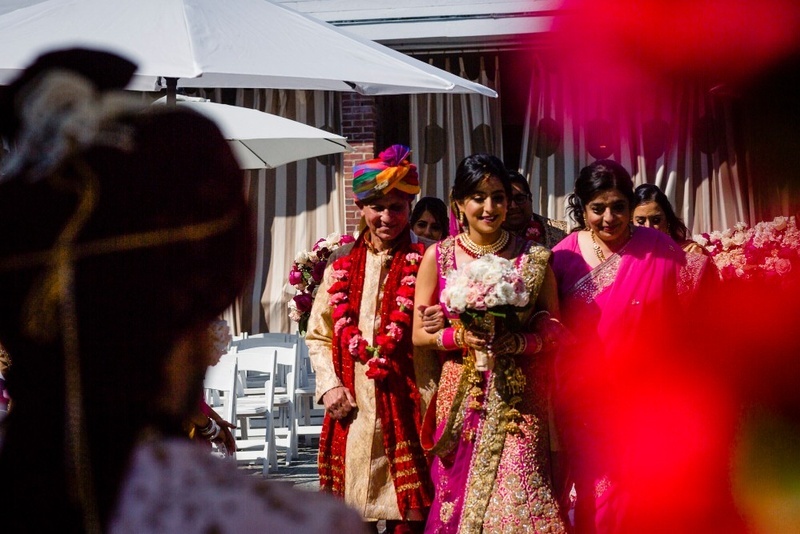 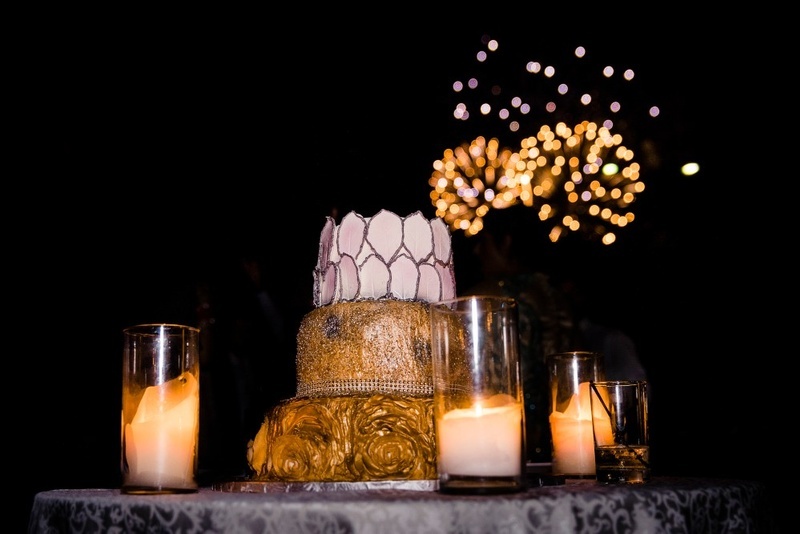 The traditional ceremonies, however, had a hint of contemporary vibe in it! 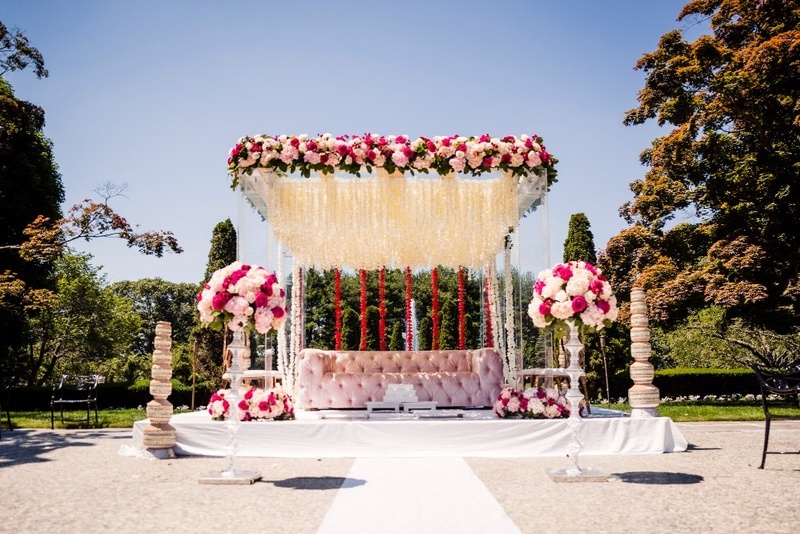 The couple had a truly gorgeous wedding with a white and pink themed decor created beautifully by Stylish Events. 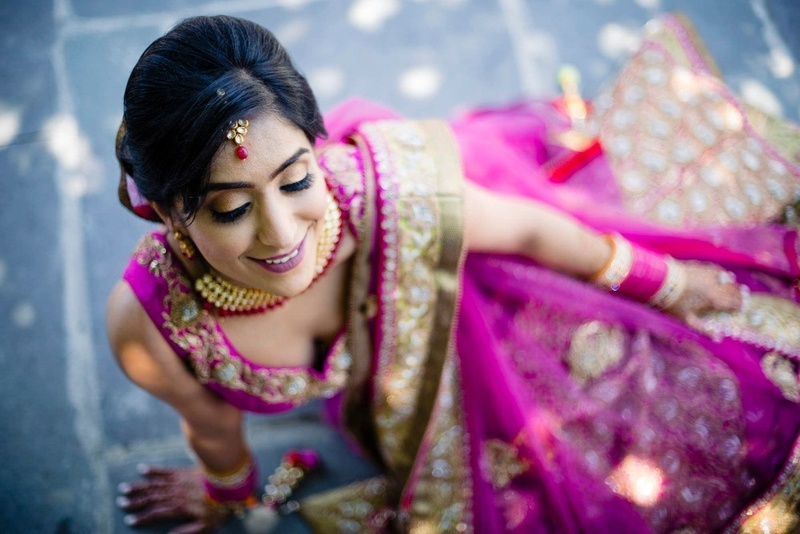 The bride opted for a hot pink lehenga with minimal makeup and gave us princess vibes! 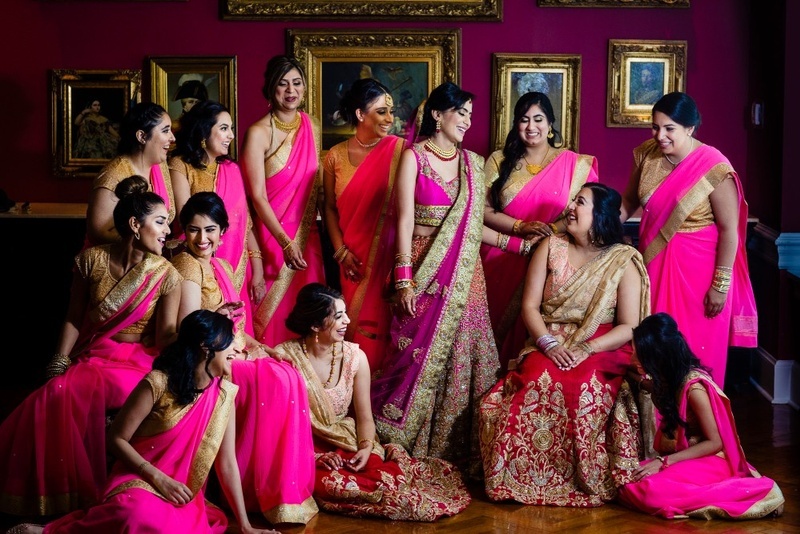 Even the bridesmaids decided to back the bride by going all pink for their bridesmaid outfits.